Jiggery Pokery is a fun team based board game that pits up to 4 teams of 2 against each other, they compete in puzzles, challenges and games and a race against time to reach the finish line. What makes the game unique is that one person from each team will be participating in the game using their mobile phone and working co-operatively with the headset player in challenging tasks that will require communication and team work to achieve their goal. The teams members take it in turns to use a mobile phone and the Gear VR headset to co-operatively participate in a series of addictive and challenging puzzles and games. Social and Skills based interaction between headset user and mobile user will be tested thoroughly in a bid to progress through the board game before their rivals. After each turn, the VR headset and mobile device is passed on to the next team, who then have their turn and pass it on to the next one. 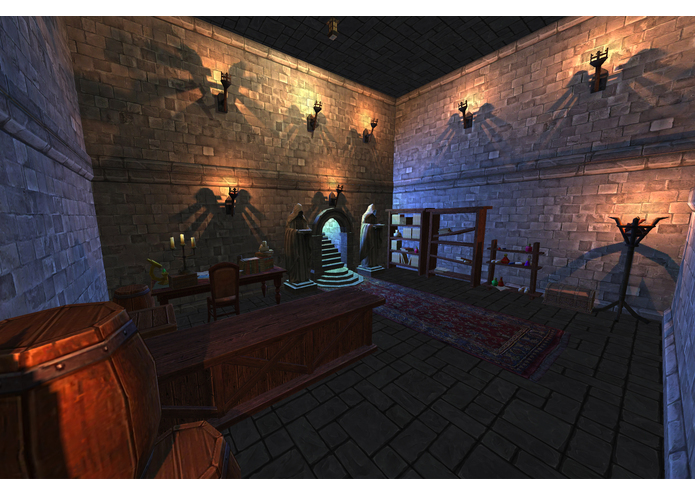 The game presents each player, the VR headset and phone user with different information/tasks which the two team members need to effectively coordinate, communicate and work together using their social and co-operative skills to solve puzzles and win games that earn them extra moves on the board. The goal was to make Jiggery Pokery in to a social experience that you can share and enjoy with your friends, moving away from the traditional isolated VR experience and allowing other players to interact with the VR user in intuitive and creative ways. Jiggery Pokery will take advantage of the vast amount of mobile phones that are available and people use on a daily basis, to allow team members to play together and encourage team play between them. 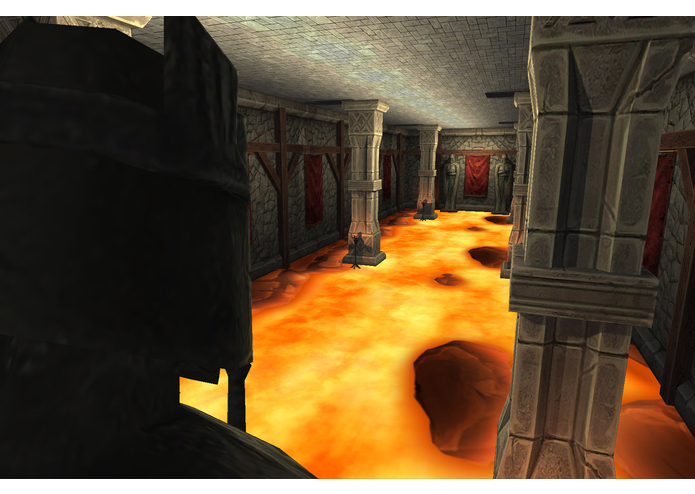 The game is launched by choosing which player you would like to play as; mobile or VR, you are then presented with the option of creating a room or joining a room, you can name the room so you are able to easily find rooms with your friends in .The mobile player will be prompted to create some teams, up to 4 teams can be registered. 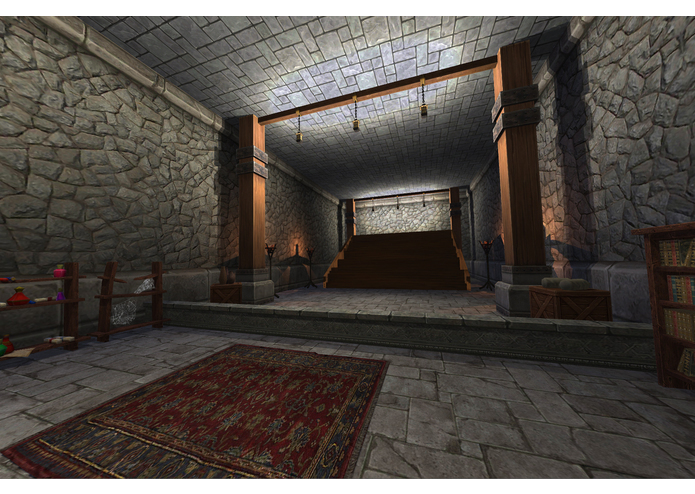 Once the Mobile and VR player have both entered the game, the game officially begins. 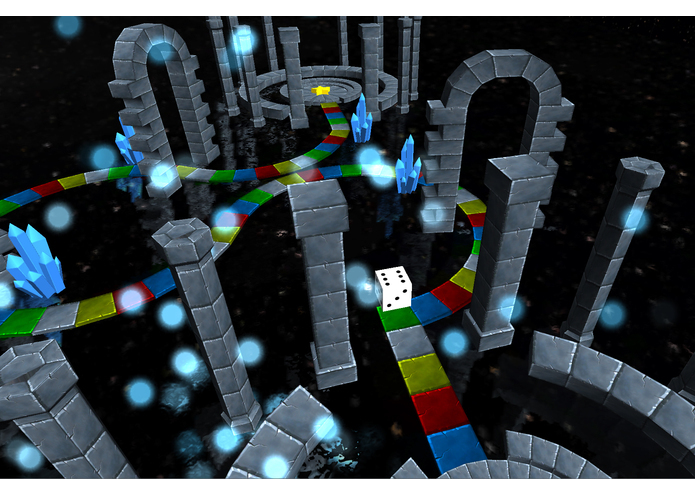 The mobile player rolls a dice that moves the VR player around the virtual board, the number of spaces moved corresponding to the dice roll. There are different coloured tiles on the board that represent different games/challenges, as the VR player moves on to these tiles, they are presented with a card that displays the name of the game, and then transports them to the game rooms. The mobile player has an overhead view of the VR player moving through the board, they also receive a prompt when they player lands on a game tile, and then they both launch in to co-operative game. There are currently 5 different game tiles, 4 of which launch challenges, the other being a blank tile, that doesn't allow you to play a challenge. The purpose behind the challenges is to earn points through the coordination and team work of the two players on each team by successfully completing challenges, the points gained in these challenges are then converted in to extra moves on the board plus 5 eg. Players will be able to see the competing teams’ player piece on the board, serving as a visual reminder of how far they have progressed, where the competing team is and how far they have left to compete the board. The experience will be different depending on what device you play on, so players will want to switch with their team mates to experience the game in a different way and find what their strengths are to ensure a greater chance of victory. 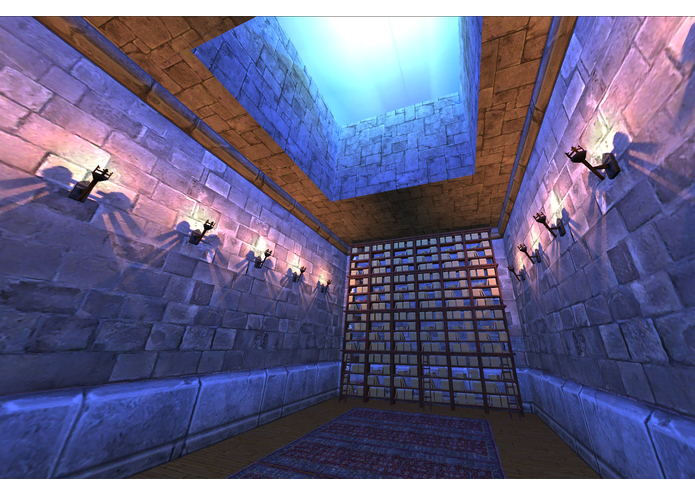 Visually the game uses a simplified art style combined with particle use and interesting lighting to give the player the feeling they are in a completely different world. Jiggery Pokery hopes to bring the traditionally fun social living room experience of turn based board games to the exciting world of VR. We're hoping to exploit the potential of cross platform play between mobile and VR to get people to play together and turn it in to the next big craze.